Monroe is the bloodhound always at the side of owner K.C. 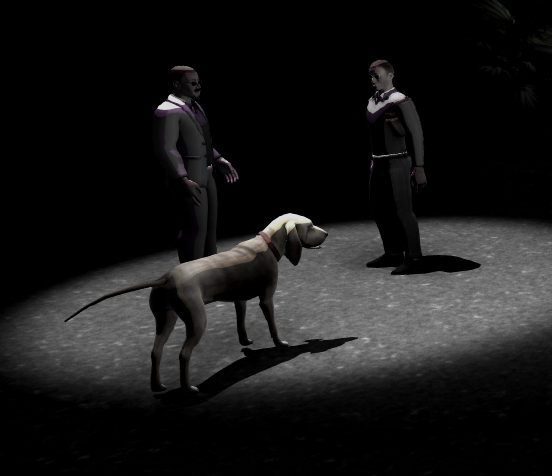 Gaddis, a private investigator and one of the game’s playable characters. Monroe is a bloodhound that Gaddis adopted as a rescue from a Los Angeles animal shelter. 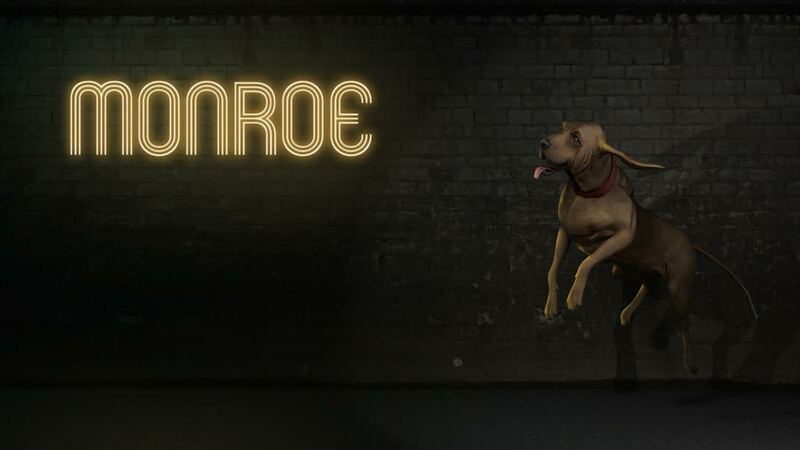 How Monroe ended up at the shelter is an appalling tale to say the least. The dog had been confiscated from drug lord Bob “Big Jim” Jeffords’s ranch house in Covina, where the dog lived under the name of Prince Basil Thistletweet and was often dressed in season-appropriate garb by Jeffords’s fourth wife, Tiffany. The raid came sometime around Christmas 2009, so when authorities impounded “Prince Basil Thistletweet,” he wore an elf costume complete with pointy hat and jingle bells on his collar. To this day, Monroe freaks out when he hears bells or carolers and, although he has no qualms with postal workers, he’ll try to eat any mall Santa in his midst. Gaddis named the dog after Lake Monroe in Florida, a place where he spent a lot of summer afternoons. Monroe offers a canine perspective view of events in Cypress Knee. Nevertheless, he came from undesirable circumstances much like the the three leading characters of the game. Spend time with Monroe starting Monday, July 6 when Knee Deep, Act 1: Wonderland is available for Windows PC/Mac/Linux on Steam.